Reminiscent, emotional, humorous, brave and true to heart. 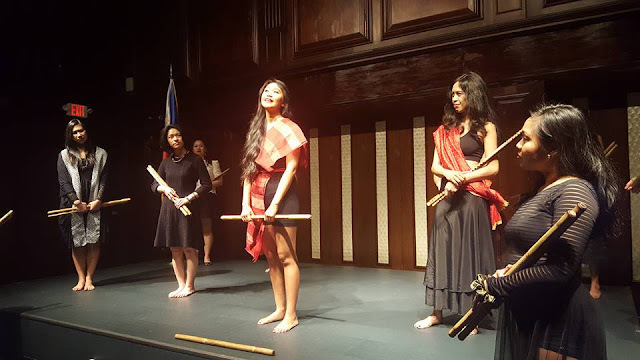 These are just a few adjectives to describe “Raised Pinay: Benefit Production” which debuted Thursday, March 31, 2016 at Philippine Center’s Kalayaan Hall. 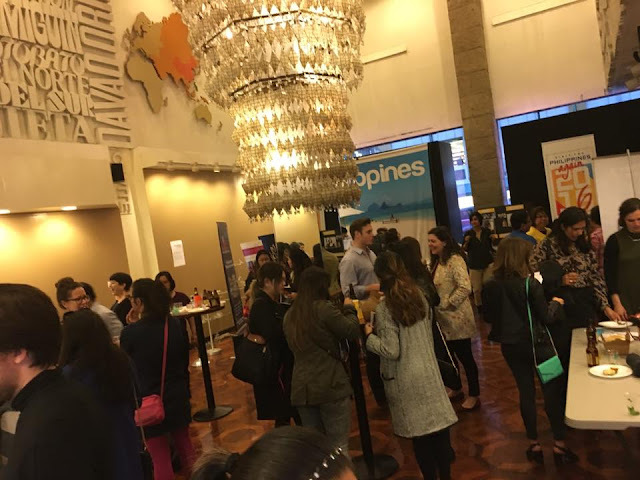 In summary, Raised Pinay is a 75 minute production that showcased the "growing pains and joys" of being a Filipina as told by 13 Pinays (Filipino women). 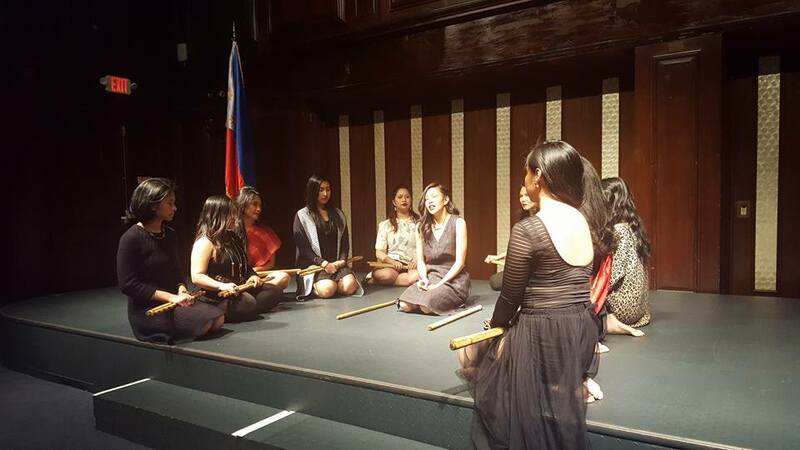 Their stories were a reflection of the strong abilities of Filipinas to love and forgive, to accept failures and successes in one's self and another. When I learned about the show, I didn’t know what to expect. All I knew was that one of the cast members was like a daughter/sister to me – and that missing her performance was like missing one of my own kid’s musical play in school. Will it be a political rant or a whiny presentation of what it’s like to be a Pinay? I didn't know what to expect. I had not a clue. And the audience did just that – and my initial worries evaporated as soon as the production started. I was astonished as the dialogues and stories unfold, and I wasn’t alone. The audience was not stingy with their reactions. There were laughter, oohhs and ahhhs, and deep sighs confirming that they, too, empathized with the performers' journeys. The production also touched on being caught in between generations and cultures, colonial mentality, indifference, conflicting values, body image, superstitions and promises. As a mother of four, at the end of the production, I was left with a question, "Will my children raise my future grandchildren the way I raised them?" The story lines were limited to the stories submitted by the cast. Maybe for the next production, Raised Pinay will receive stories similar to that of my childhood summer days in the province: climbing trees, playing patintero, "pretend" cooking guamela petals on mini clay pots, endless kissing the hands (mano) of the many extended relatiives hanging around the patio on a hot summer day, jumping in to the river and catching a fish and endless fiesta celebrations. To the cast of Raised Pinay, congratulations and thank you for raising awareness. In telling your stories, you gave voice not only of your own experiences but also those who weren't brave to express their past and present triumphs and challenges. Rachelle Ocampo (center) shared some intimate yet funny experiences in 5th grade. Aurerose Piana delivered one of the subtle but profoundly emotional monologues. sisters Gigi and Grace Bio completed this painting. 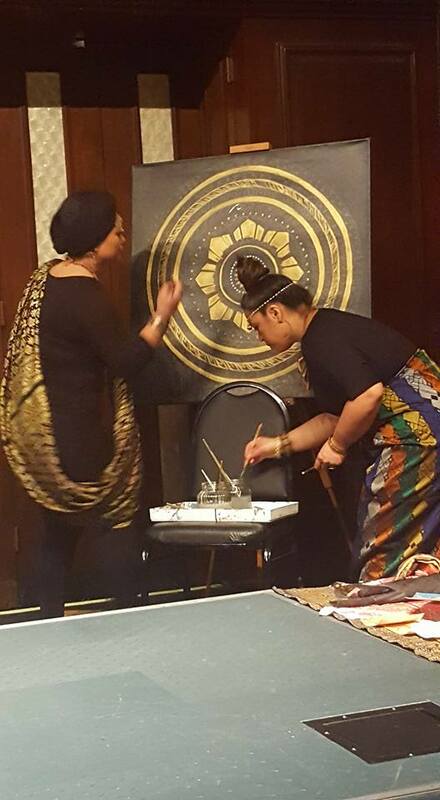 Anjelica Enaje reminded us why our mothers do the things they do. Co-producers Rachelle Ocampo and Justine Ang Fonte talked about Roots of Health. Philippine Airlines and the Philippine Consulate General of New York. 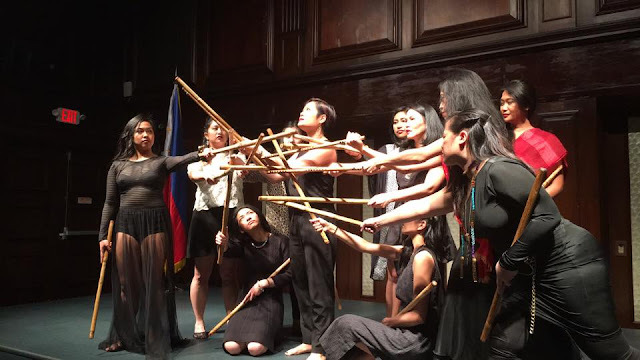 Raised Pinay is a production to benefit Roots of Health. 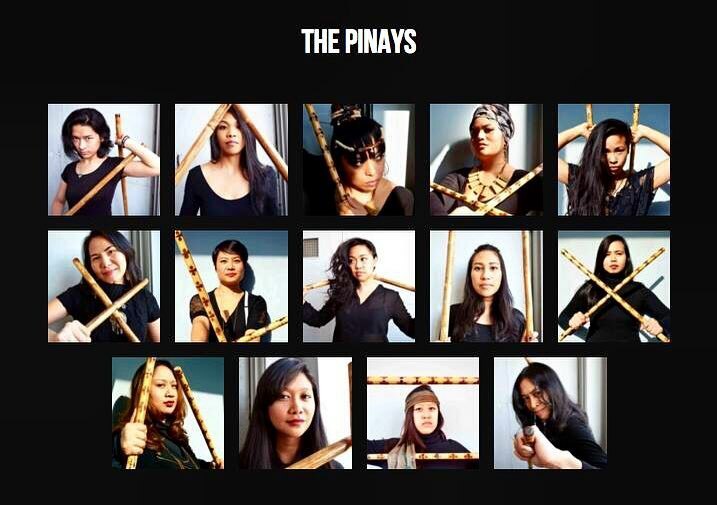 You can catch Raised Pinay on Saturday, April 2nd ( 2PM and 7PM) at New York University. Photo credit: Grace Labaguis of Synergy Productions & Marketing, Inc.